Read-out Instrumentation Signpost: Brewing at college! Emerson is to collaborate with Colorado State University (CSU), in the United States, to build the Emerson Brewing Innovation Centre, where students will get hands-on experience using the latest automation technologies. Funded by a joint investment, the centre will serve as the main educational hub for the Fermentation Sciences and Technology programme and will reinforce advanced competencies for digital transformation as the Industrial Internet of Things (IIoT) era continues to evolve the industry. With the number of US breweries increasing at a rate of 321 percent from 2007 to 2017, there is growing demand for highly skilled workers with expertise in fermentation sciences and proficiency in automation technologies. Emerson’s advanced automation solutions enable brewing companies to optimise operations, detect and address quality issues in real time, reduce downtime and shorten changeovers that occur when one beverage is changed out for another in production. The CSU Department of Food Science and Human Nutrition attracts diverse, top-notch students to address the industry’s growing technology demand. 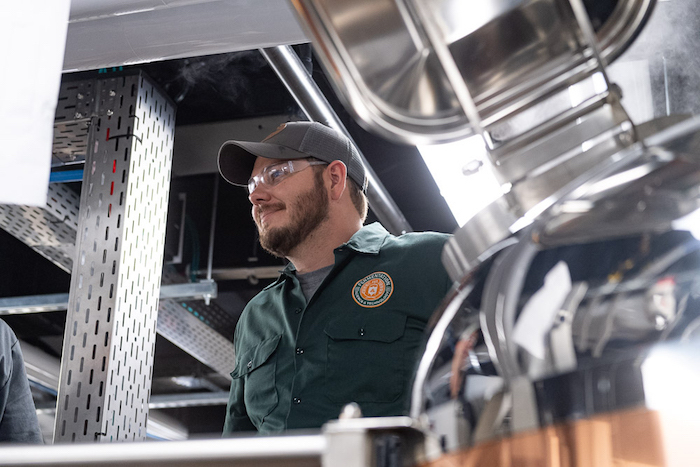 The Emerson Brewing Innovation Centre will open this autumn in the Gifford Building on CSU’s main Fort Collins campus and feature two brewing systems that will allow students to gain experience using the latest real-world technologies driving innovation in the industry. Emerson Impact Partner Lakeside will build the systems that feature elements of Emerson’s Plantweb™ portfolio of IIoT technologies used in brewing automation: a DeltaV™ distributed control system, Micro Motion™ flow meters, Rosemount™ measurement technology and ASCO™ and Baumann™ valves. Emerson’s collaboration with CSU is one of more than 350 secondary education partnerships worldwide that support finding solutions to address the skills gap in digital automation technologies. Emerson is donating $10,000 towards a CSU diversity fellowship to help set up the Brewing Innovation Centre and a scholarship for the fermentation programme. Magmeter for water & wastewater applications.